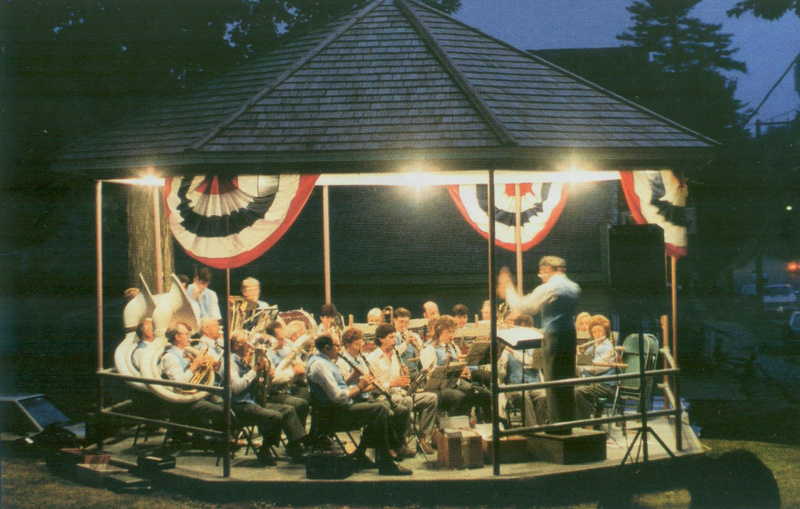 John Philip Sousa is three years old and the largest Town in Allegany County, New York is nearly fifty years old. A musically trained Rushford youth, Horatio R. Palmer is twenty-three years old. Band music is required to make a gala celebration for the thriving community=s 50th anniversary. Mr. Palmer reorganizes the Pioneer Band boys of the 30's and 40's to form, by constitution, what is today=s Rushford Concert Band. Rushford=s century-old bandwagon is seen in parades throughout New York and Pennsylvania. Few examples of this popular nineteenth century method of transporting bandsmen have survived. 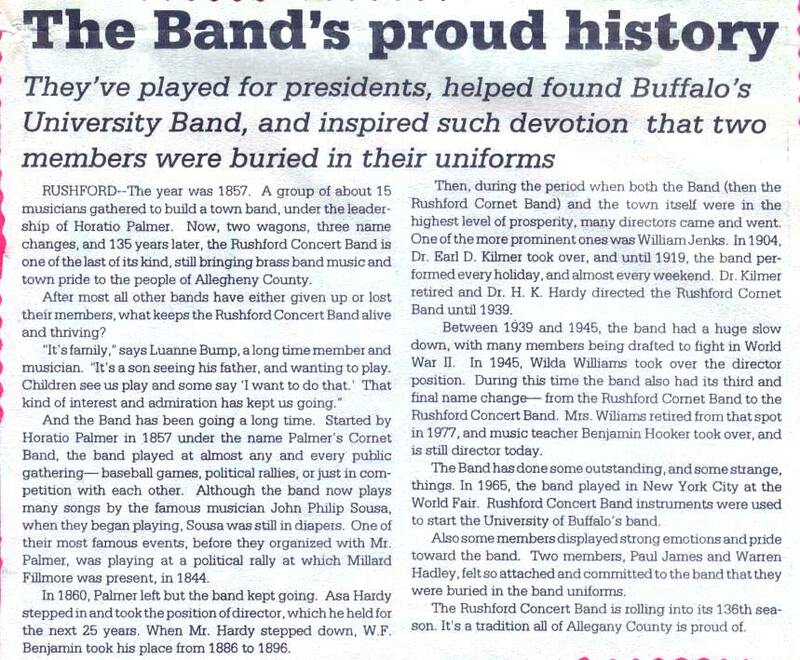 The first 1857 bandwagon was brightly painted with APALMER=S RUSHFORD BAND@. Horatio R. Palmer, the first director, left Rushford after the Civil War to become a noted music educator and composer, including Director of Music at Chautauqua assemblies from 1888 to 1901. Several bandsmen, including the first Treasurer, Isaac B. Gordon, enlisted for service in the Civil War. He was appointed to the Engineers Brigade Band stationed with General Grant in Virginia. Mr. Gordon performed with his large, bell-over-the-shoulder Avery sweet toned@ bass horn with the Brigade for many dignitaries, including President Lincoln, who would request his favorite tune@DIXIE@. Mr. Gordon returned home with his horn which is still in the family and was recently restored. Fifth and sixth generations of the Gordon family have performed with The Rushford Concert Band.